We begin with a topic that has nothing whatsoever to do with what Kate wore; it is a look at today’s royal wedding in Stockholm. I received so many inquiries about the ceremony (and accompanying sartorial selections) I wanted to step outside the norm and cover the event in a post. 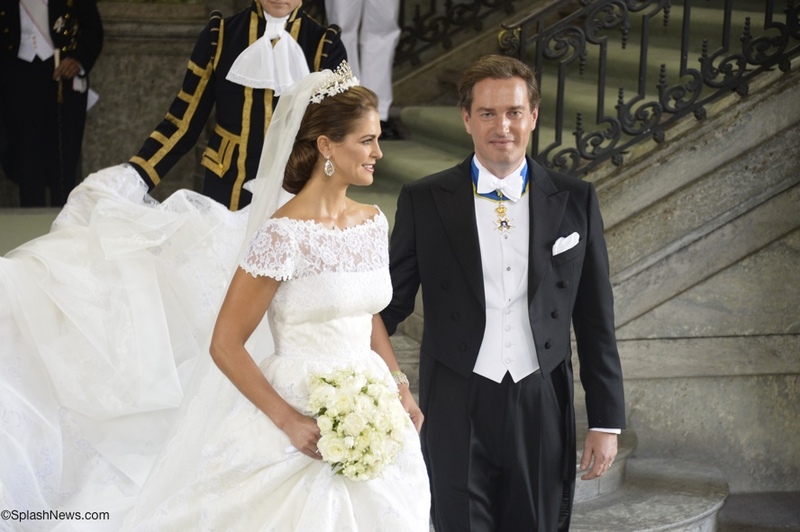 Princess Madeleine of Sweden married Christopher O’Neill in the Royal Chapel at the Palace. It was an elegant group of guests gathered for the nuptials: tiaras glittered, jewelry shimmered and royal orders were on display. Below, Crown Princess Mette-Marit and Crown Prince Haakon of Norway as they arrive for the afternoon service. Representing the British Royal Family, Prince Edward and Sophie, Countess of Wessex. This offers a better look at Sophie’s tiara. 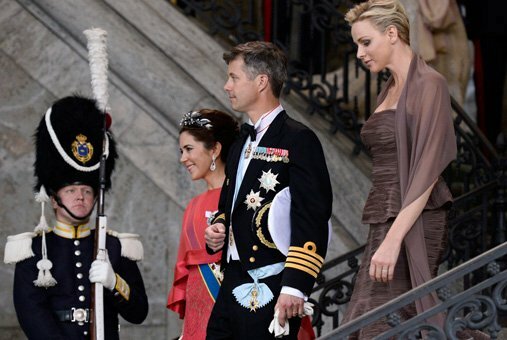 Crown Prince Frederik and Crown Princess Mary of Denmark, as well as Princess Charlene of Monaco. Princess Charlene was one of the few titled women not wearing a tiara. 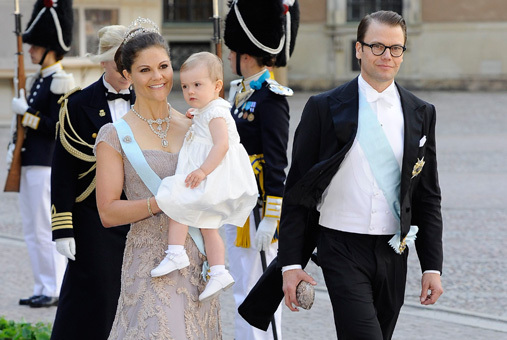 The bride’s sister, Crown Princess Victoria and her husband, Prince Daniel, and the couple’s child, Princess Estelle. More on Princess Victoria’s gown from the Swedish Royal Court news release. 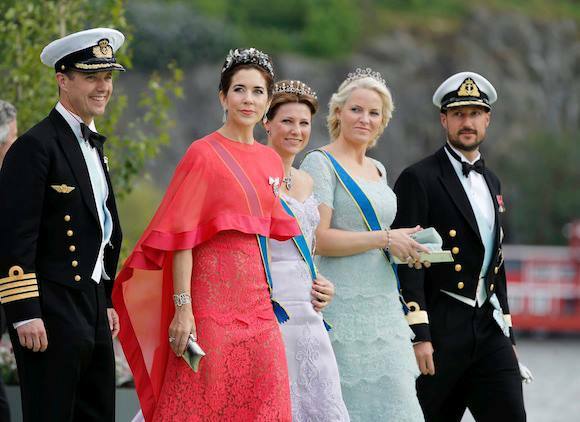 The Crown Princess wore a greige rosé dress with aubergine accents. The dress is made from hand-dyed double-sided silk organza with layers of hand-dyed tulle in three shades, silk threads, Lurex threads, pearls and Swarovski crystals in amethyst and pale grey opal. The tiara is known as Princess Lilian’s Tiara, it was made by Boucheron and originally given as a gift to Crown Princess Margareta for her wedding day in 1905. 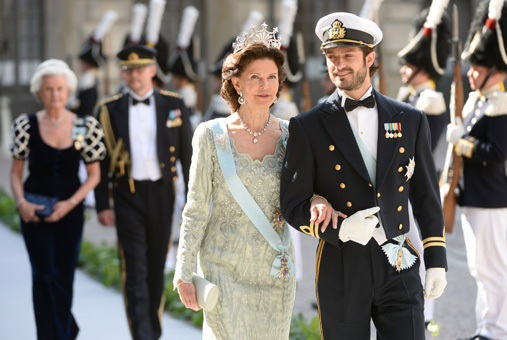 Below, the mother of the bride, Queen Silvia arriving with her son, Prince Carl Philip. Princess Madeleine as she walks up the aisle on the arm of her father, King Gustav. The King wears what would be formal evening attire for the military, he is an Admiral in the Swedish Navy. And the view from above. 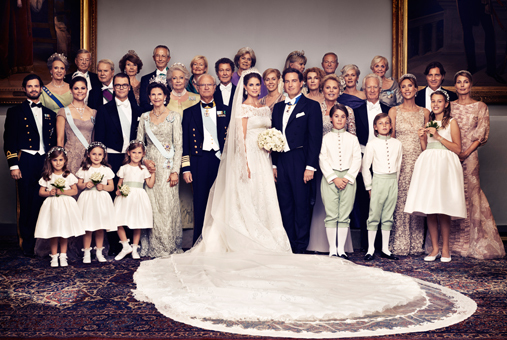 Princess Madeleine’s wedding dress was designed by Valentino Garavani. Following the ceremony Princess Madeleine and Mr. O’Neill proceeded by cortège to Riddarholmen, where they boarded a boat for the reception. The official photo of the couple. Here you see the couple arriving at Princess Couple arrive at Drottningholm Palace for the reception. The couple will continue to live in New York where Princess Madeleine works at the World Childhood Foundation and Mr. O’Neill at an investment banking firm. 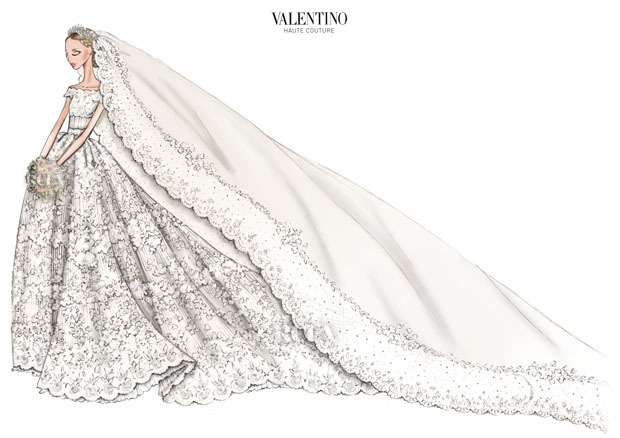 A sketch of the Valentino design. The gown was exquisite, with short sleeves, a cinched waist and Chantilly lace. The wedding dress is made from pleated silk organza with appliquéd ivory-coloured Chantilly lace. The upper section of the bodice is lace with a deep-cut back. Narrow vertical pleats open up from the accentuated waist, above the wide skirt, which ends with a four-metre-long train. 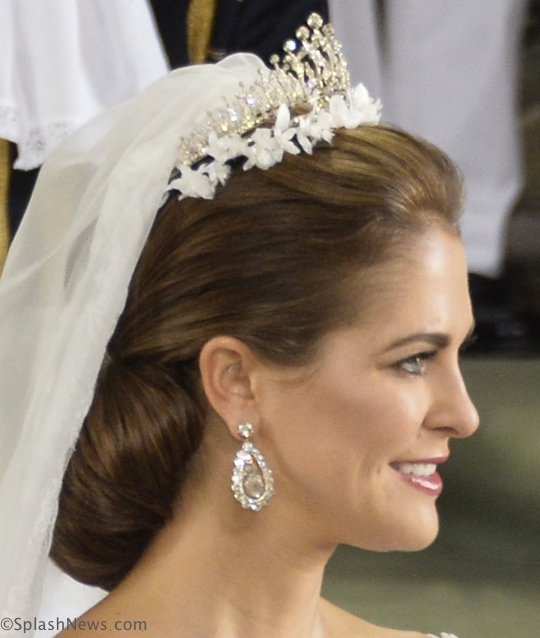 A better look at the tiara and earrings, not to mention the radiant bride. Below (left to right) we see Crown Prince Frederik & Crown Princess Mary of Denmark, Norway’s Princess Märtha Louise, Crown Princess Mette-Marit and Crown Prince Haakon, also of Norway. 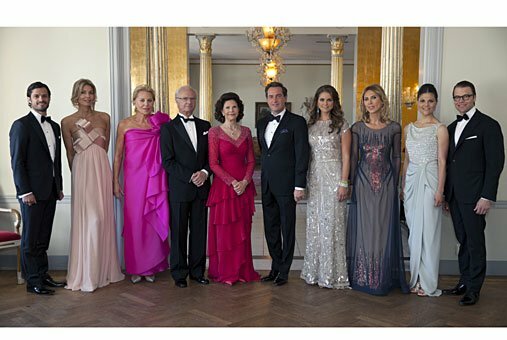 This photo of the bride, groom and immediate family was taken at Friday night’s gala dinner at the Grand Hôtel in Stockholm. There are much better sources of information on today’s attire, accessories and jewels. The Royal Order of Sartorial Splendor is always a delightful read, packed with info and photos. A Tiara a Day from Ella Kay is also a great resource. A PDF of the full wedding program may be read here. A very brief update on Kate, she is reported to have been shopping for nursery furnishings at Bernard Thorp last Tuesday. More from the Daily Star. Kate picked out beige and brown English handmade fabrics that cost £131.76 a ­metre. She also went for a cream and light brown traditional herring-bone stripe for the ­curtains in a corridor. 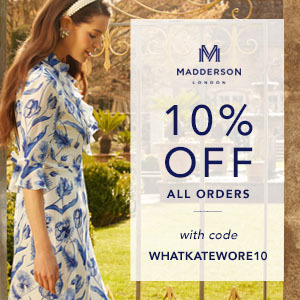 The shop carries upscale textiles and wallpaper that are made in England. 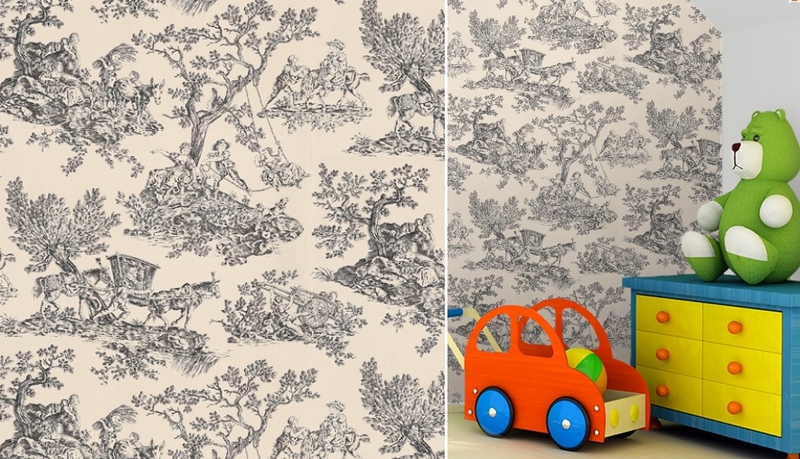 The motifs are primarily traditional patterns, like the “Emma” Toile shown below. But there are also more contemporary designs. 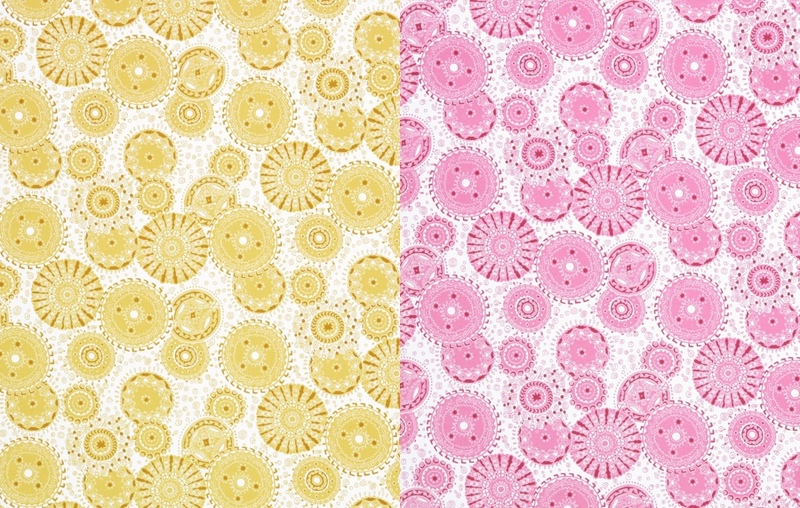 The company uses hand screen-printing for custom wallpaper and fabric orders. In the US Bernard Thorp is carried by Stark Fabric. The story is in tomorrow’s paper, but available online today (text only, no photos). 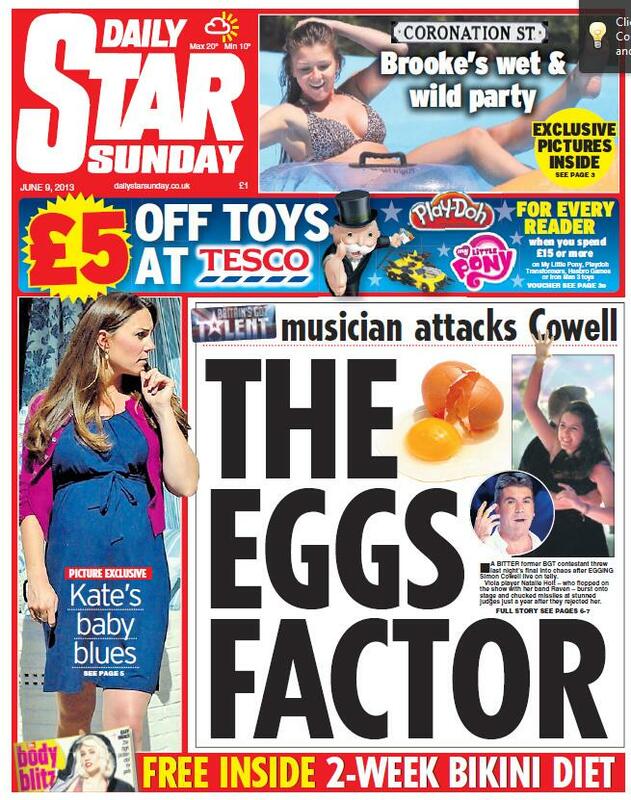 Below we see the front cover of the paper, with thanks to Sky News for posting the front page on Twitter. The article says “Kate wore a short blue dress and comfy wedges for the interior ­design expedition.” The distinguishing characteristic of Kate’s dress is the pleated neckline. We have yet to discern the maker of Kate’s blue frock, and will update the post when we learn that information. UPDATED: With thanks to the savvy WKW Facebook crowd, we can report that the Duchess is wearing a piece from the ASOS Maternity Collection. She is in the brand’s Belted Dress with Scoop Neck. This view offers a better look at the neckline pleating detail. The dress is made of a soft “breathable jersey knit,” it has an elasticized waist, self belt and cap sleeves. It is also comes in other colors. It is shown as still being in stock in all three colors on the US ASOS website, it is priced at $42.43. The cardigan remains unidentified, but I am sure we’ll find the manufacturer soon, and I will update again. 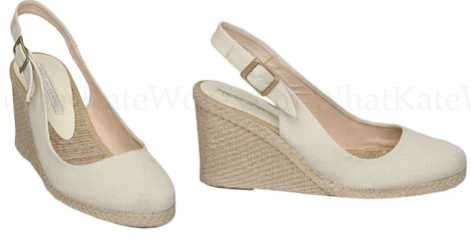 Kate was also wearing her Pied a Terre wedge espadrilles. Even though it isn’t yet officially summer, designers are working on next year’s collections. Recently most have shown runway collections or released photos of their Resort 2014 lines. We wanted to share a few collections with you, starting with Collette Dinnigan. There was a blue and white group I like with several pieces that are “very Kate”. This group is also very appealing. Three styles offering a more formal look. There is a lot to like in the collection, with many styles one can envision the Duchess wearing. That is also the case with Ms. Dinnigan’s collection for this fall, the following four pieces are from the autumn/winter 2013 collection. Our other group of Resort 2014 styles is by Erdem. The designer refers to the collection as “Pre Spring 2014” as opposed to “resort”. There is a sizable amount of black and white. With soft touches of pink, yellow and aqua. Many silhouettes have a retro feel, with lines reminiscent of styles from the 1950s and 1960s. The designer’s signature touches are evident throughout the collection. Sheer overlays and detailed embroidery were skillfully executed. The designer also offered classic lace designs, a look that we know Kate favors. We hope you enjoy the preview of pieces we’ll be seeing next fall. We’ll be back Monday with a more standard post, as well as some exciting news about our Baby Cambridge Fundraiser. 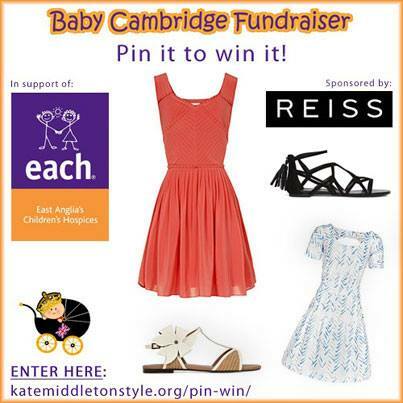 In the meantime, don’t forget to enter the giveaway for a Reiss dress and pair of shoes over at Kate Middleton Style, Carly is hosting a Pin It To Win It Contest as part of our Fundraising efforts! 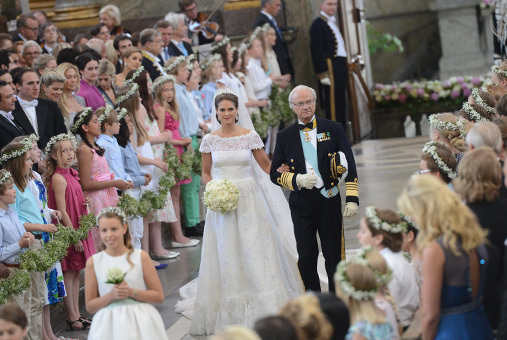 Princess Madeleine looked gorgeous….she married well. The groom is a NY banker from a VERY wealthy family. That Yankee is worth more than the princess. All other troops look well…charlene looks sad which is not unsual. Just a question, all these men wearing tons of medals on their outfit…have they ever stepped in a war zone? Not being snarky, just curious. 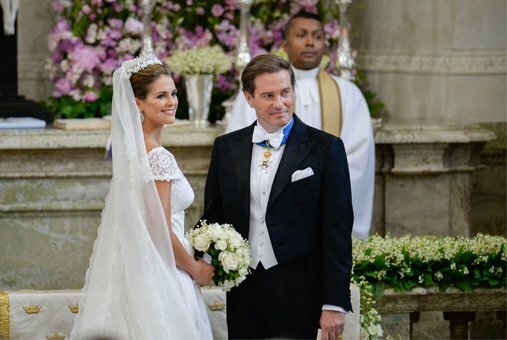 Princess Madeleine looked so beautiful. Her dress is so romantic and beautiful. This is the look that I had in mind for Kate. I did not like Kate’s dress at all and I thought she should have worn her hair up. The only thing I see her wearing from the blue and white group is the long gown with the blue top and the white dress that almost comes to the knees. I think Kate would look stunning in either of those outfits.Love all of the Collette Dinnigan designs from the autumn/winter 2013 collection. I can see Kate in all of those and think they are close to her style. Not a fan of Erdem. I think Princess Victoria hit it out of the park — her dress, Lillian’s tiara. She looked amazing. I really wasn’t feeling the bottom of the bride’s dress. Just a curiosity….why do models so often pose with their toes turned inward? (We call it pigeon-toed in the U.S.)? Is it supposed to be an attractive pose or to make their legs look longer? Just wondering cause it looks really awkward to me. I think it’s mostly an affectation, rather like the cross-legged walk that a lot of models use on the runway. That’s not to say that some models aren’t genuinely a bit pigeon-toed. I’m not so sure the admin needs to cover events that don’t involve the Duchess of Cambridge. 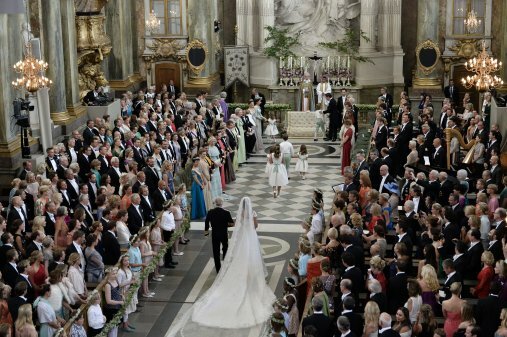 After all, there were quite a few other sites on the Swedish wedding. However, it’s not my call, I realize. 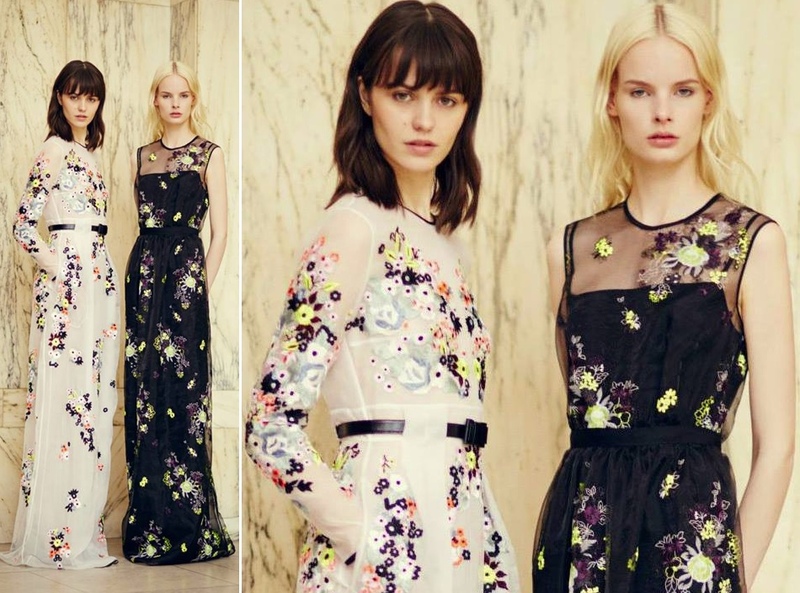 Sadly, I just can’t develop any real enthusiasm for Erdem’s fussy prints and lace, and the Dinnigan resort wear doesn’t excite me either (too much lace again). However, Dinnigan’s fall looks are elegant. The lace is more restrained, the overall designs much more sophisticated. I read somewhere that those Pied a Terre wedged espadrilles cost $124. Now, I’ve been buying canvas and rope wedged espadrilles for over 30 years; I was doing so when they were very hard to find and when I usually stocked up on multiple pairs whenever I DID find them. However, no matter how enthusiastic I was about them, I was never willing to pay $100 or more for them. They wear out very quickly, becoming run down at the heel fast. $124 or more is just too much too pay for a shoe like that. And I’m a person who spends a LOT of money on clothes! In any case, I think one of her pairs of black espadrilles would have looked better with that blue dress and amaranth-purple sweater. Perhaps the beige pair were more comfortable at this stage of her pregnancy. Ugh, I live 40 minutes from Stockholm right now and somehow managed not to hear about the wedding until the day of…absolutely kicking myself for not going! Love the princess’s veil with that gown. Good on Kate for buying inexpensive maternity wear. She’s done a good job altering some designer pieces but a dress like that is just perfect for the spring. As for the collections you posted, I can’t see Kate ever wearing it but I LOVE the second Collette Dinnigan with the patterned skirt. If I had occasions for such evening dresses (or the money to buy one) I would scoop it up in a heartbeat. I just ordered the Asos maternity dress as a gift for a girlfriend of mine who is expecting. The dress has been discounted to under $30! 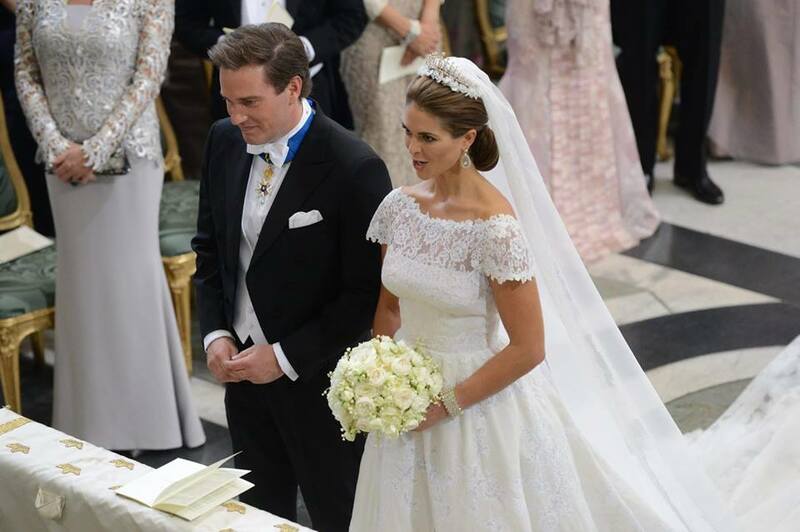 Princess Madeleine looked just stunning. Her gown was beautiful and “princessy” and I loved the lace. I also love the tiara because it looks so delicate and pretty. She just looked so happy. Thanks for including this wedding on your site. It’s nice to see other royals from time to time. I’ve just realized: if you scroll down that Pinterest site, you’ll see a couple of distant and slightly blurry photos of Princess Madeleine wearing the Ricci dress. The Erdem collection is divine. I think the Duchess would look gorgeous in any of those outfits and I’d love to see her in those black and white flats. 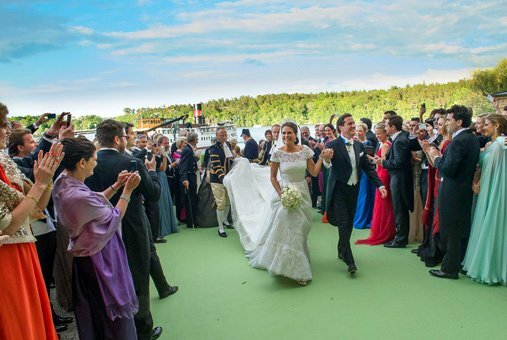 Great wedding photos of the wedding in Sweden. Well done and thank you for this lovely deviation. Enjoyed the pictures. Great post, it’s so interesting to see all the royal ladies in their tiaras! It would be fun to see the Duchess in a tiara now and then (to my memory the only tiara we have ever seen on her was at her own wedding). It makes me wonder why we don’t see her in them. My theory is that she may be hesitant to wear them ( not wanting to seem like she is flaunting her position or drawing attention) particularly as she is still the newest member of the family and by far the most closely watched at the moment. Does anyone know if it is a protocol thing, maybe she just hasn’t attended that many events formal enough to call for a tiara? If for instance she’s at an event with a royal lady that outranks her, like the queen or Camilla, does she only get to wear a tiara if they are wearing one too? 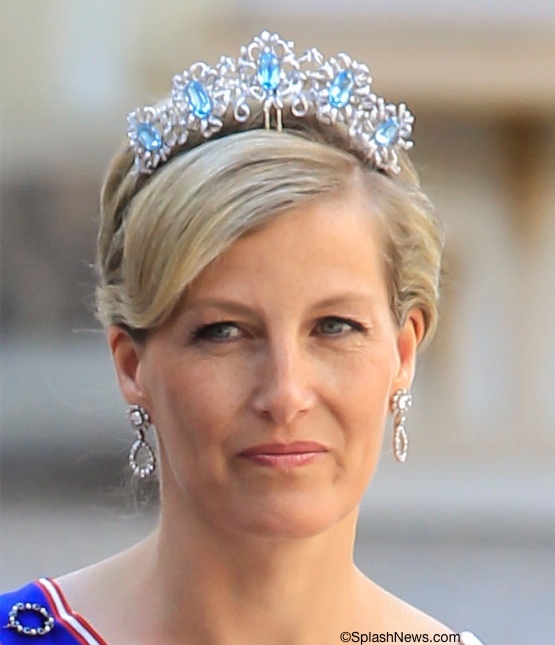 Tiaras are generally part of the dress code for events where they are featured. Right now Prince Edward and Sophie tend to be the Royal Family’s representatives at the events where ladies wear tiaras (like weddings). There simply have not been any events that the Duchess has attended at which tiaras have been required. There are fewer and fewer these days. Believe me, she will wear one when the day comes that she is present at a tiara-wearing occasion. However, she certainly wouldn’t wear one if the Queen and other royal ladies did not. That would not be at all appropriate. If the Queen or the Duchess of Cornwall didn’t appear in one, that would mean that the event was not a tiara occasion. I love the wedding dress! Thanks for the recap. But can you explain what the blue sash is for and what it means? Thanks! This website is quite helpful. What a wonderful bride! The Princess is really beautiful and the wedding dress is very refined. I don’t understand why Princess Charlene of Monaco was not wearing a tiara. I am very curious about that, if anyone has any idea, please let me know! I suspect that Charlene simply decided that she didn’t want to wear one. There would be no protocol reason why she didn’t do so. I liked this post as well! I think it’s great to occasionally include other royal events, especially as it is likely that Kate will be rarely seen in public in upcoming months. We need to have something to discuss! 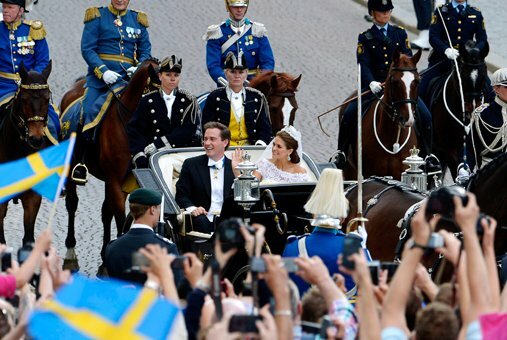 Princess Madeleine looked absolute gorgeous and royal! I much prefer her wedding dress and hair to Kate’s! I read about this wedding elsewhere, but loved your post. You explain things so clearly and your photos are beautiful. Thanks!